Perfect universal air filter with back cotton mat in a stable wire net. Due to the entirely black color this filter is no eye-catching splash of color in the engine bay. It is more subtle applicable than other products. 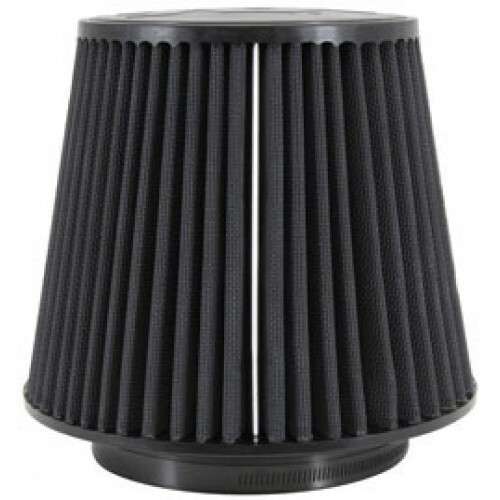 Additionally our filters are equipped with black flexible silicone on top and bottom. No scratching, no tearing like with rigid metal elements. Our filters are preoiled, washable and reusable.